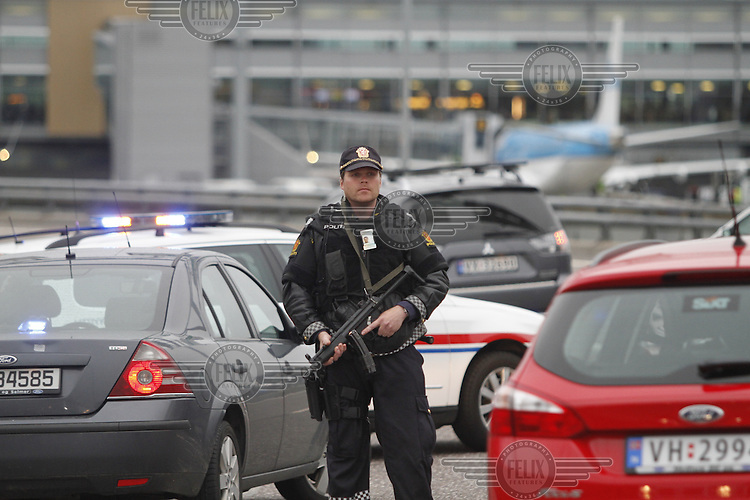 (Oslo July 22, 2011)A police man a check point by Gardermoen Airport, north of Oslo. A large vehicle bomb was detonated near the offices of Norwegian Prime Minister Jens Stoltenberg on 22 July 2011. Although Stoltenberg was reportedly unharmed the blast resulted in several injuries and deaths.